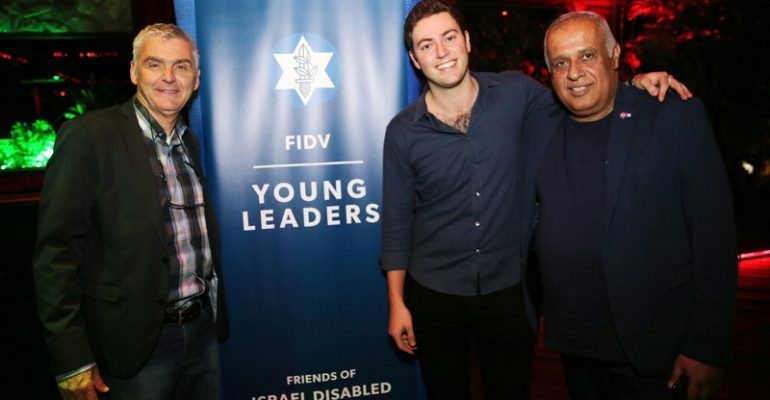 Lisa and Barry Levi hosted over 90 young professionals who came to learn about Israel’s disabled veterans. 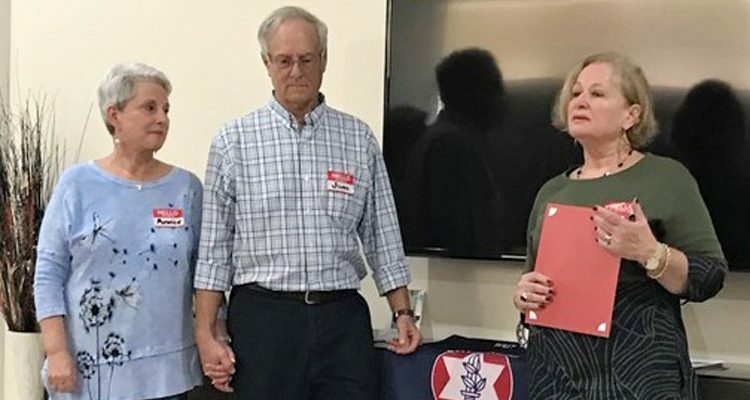 Ann and Jim Cohen hosted a gathering in Boynton Beach to introduce Friends of Israel Disabled Veterans-Beit Halochem to new people. 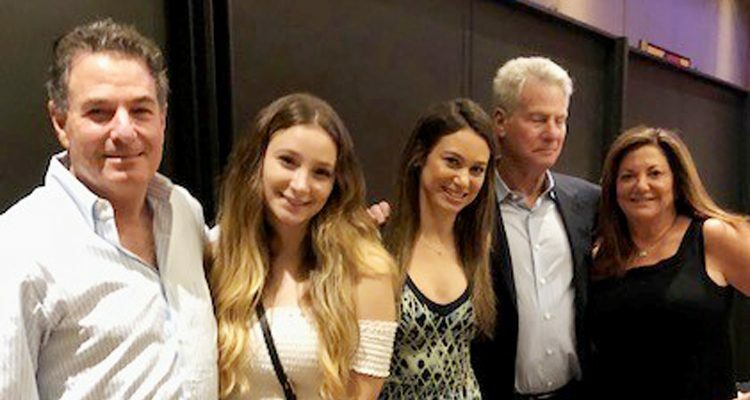 A special event honoring Judith Hirsch, longtime Chair of the Friends of Israel Disabled Veterans-Beit Halochem Chapter in Boca Raton, was held at the Boca West Country Club on December 19, 2018. The latest scholarship distribution ceremony of ZDVO, Tel Aviv District, was held in the evening of Dec. 25, 2018, at Beit Halochem Tel Aviv. Brig. Gen. Kahalani and Raquel Moffson-Cohen. Brigadier General (ret.) 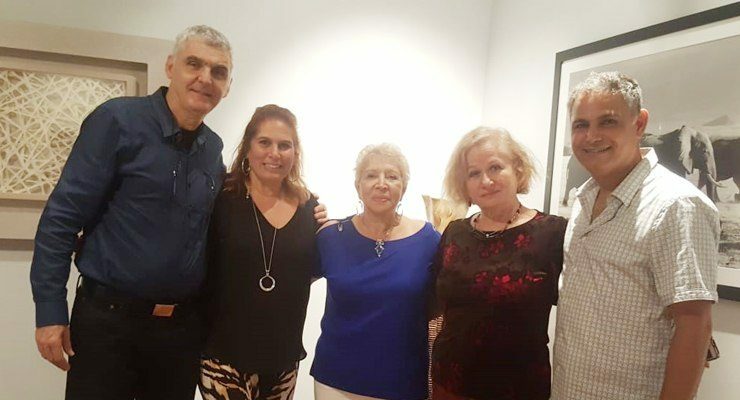 Avigdor Kahalani and Amit Maoz, each one seriously wounded while serving in the IDF, met with Friends of Israel Disabled Veterans-Beit Halochem Board members and guests, and with Ambassador Dani Dayan on November 14, 2018. 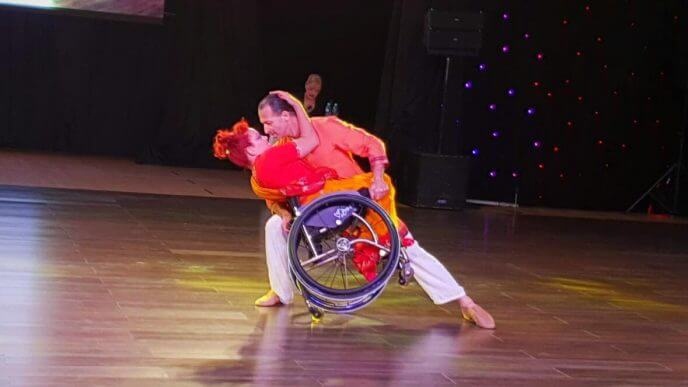 Vital Zinger with partner Shon Ziv. Amnon Sharon, a former POW, speaks to AIPAC visitors at Beit Halochem. 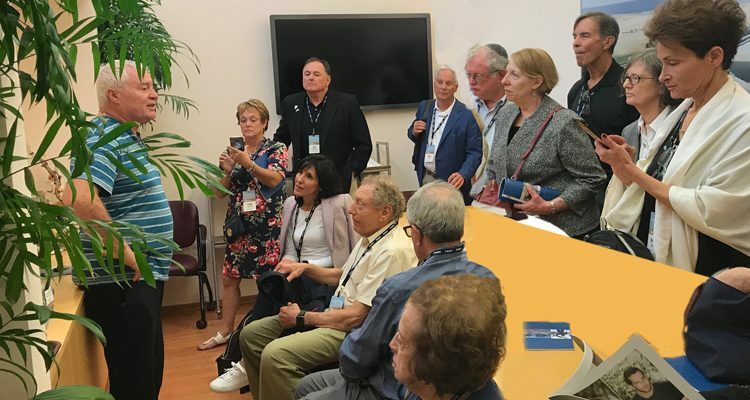 A group of 25 members participating in a week-long AIPAC-AIEF Biennial Senate Club Mission to Israel stopped in to visit Beit Halochem on November 8. They chose Beit Halochem as one of the “electives” that allow for deeper exploration. 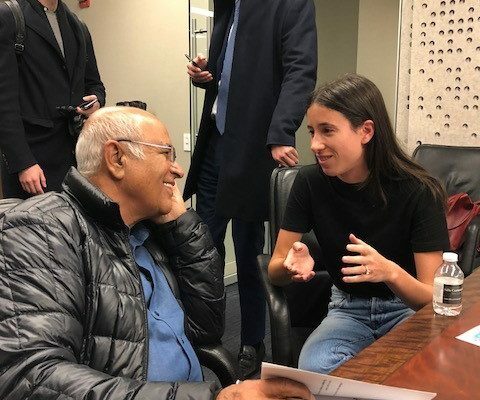 The overall mission, comprised of 160 leading AIPAC activists and supporters from the United States, is a cross-section of the front lines of America’s pro-Israel community.